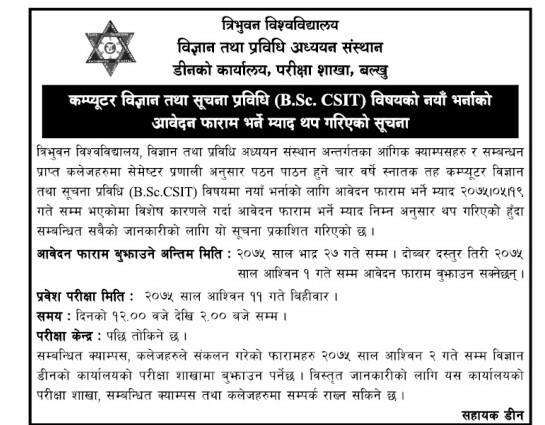 Tribhuvan University,The Institute of Science and Technology announces admission for BSc. CSIT program.The program develops the underlying principles of both Computer Science and Information Technology and shows how these principles can be applied to real world problems. This program develops the skills that are essential for both computer professionals and IT specialists. > Enables you to build solutions by providing in-depth theoretical & practical knowledge of the subjects. > Perfect balance between extensive theoretical and through practical learning. > Examination Centers will be notified later.